Event Description : MUSIC : Mosiqi​ band live. 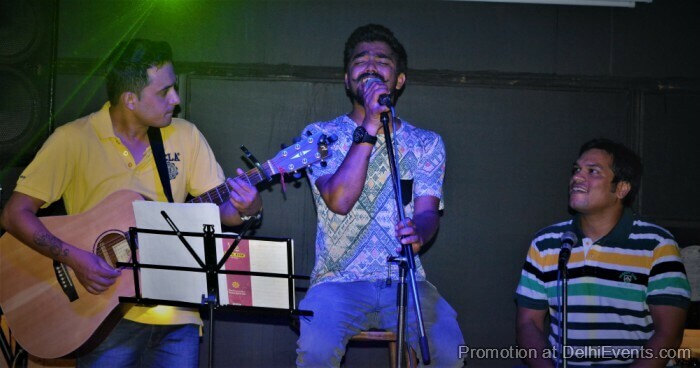 Mosiqi is a multi-genre Delhi based 3-member band driven by their love for music. The band consists of Naveen Kumar Singh- Vocalist, Manish Sharma- Drums/Percussions and Hemant Juyal- Rhythm Guitarist. Gastronomica serves North Indian, Italian, Chinese and Continental cuisines and hosts a variety of drinks at its bar. Visit the restaurant this weekend for a fun Saturday evening with your friends and family.